Some suggest that this coveted rule over equality, environmental, and educational rankings is a product of the Nordic culture itself. Both in terms of their economic and social philosophy, these countries embrace the notion of the welfare state. They combine the free market economy of their fellow developed countries with this welfare state, working to promote individual opportunity. This draws attention to the underprivileged, and makes sustainability a headline issue, especially in retaining economic competitiveness to accommodate the welfare model. Coveted and looked up to by much of the world, this system has been dubbed the “Nordic Model.” The Nordic people not only use the system to guide their political, economic, and social decisions, but they also hold a great deal of pride in doing so. Of course, every system has its downsides; for the Nordic model, this is largely economic. Some believe that this welfare state has hindered the economic growth of these countries, relying too heavily on free market policies for financial support. Now, let’s hold the Nordic Model up to the political, economic, and social climate of the United States. Consider the US’s ever-controversial debate over universal healthcare: Obamacare, as we colorfully denote it, ushers in President Obama’s “socialist vision for America.” And then, consider how we envision “socialist”: we imagine the government restricting our natural-born freedoms, inciting fear—not to mention the historical backdrop of Uncle Sam versus the Soviet Union. As Sheldon Richman finds, “If you really think about it, perhaps we would be happier [under socialism]….It may be that only with some form of it can our own country, with its ballooning trade deficit, globally compete—or even just keep going without repeated financial crashes and crack-ups.” Our country is allergic to “socialism,” even as just a term, and that has a rippling effect on both the dynamics and language of our politics. The social democracies of northern Europe, on the other hand, have their citizens transfixed, with free healthcare, subsidized childcare, subsidized housing, and even free postsecondary education. Second is the matter of homogeneity. Small, homogeneous societies can more easily bear the burden of civic welfare than the larger and more diverse countries, because, throughout their history, “the vast majority of the population looked the same, talked the same, had names and relatives in common, went to the same churches, and so on.” Thus, these countries can more easily enact reforms of all kinds because more of the population is on the same page. Conversely, the US is at the other end of the spectrum both in terms of population and homogeneity, and hence political processes play out very differently. As we concluded in an earlier article, inherent differences in the geography, economics, and population encourage standstills in Congress. In the case of the future of coal use in the US, for example, the asymmetric viewpoints of the states has slowed down our depowering of the dirty energy source. The same can be said for other issues in energy, gun control, and even when to call a congressional recess. Iceland, a country with about half the population of Boston, is an interesting example of how a small, homogenous country can dominate these rankings. 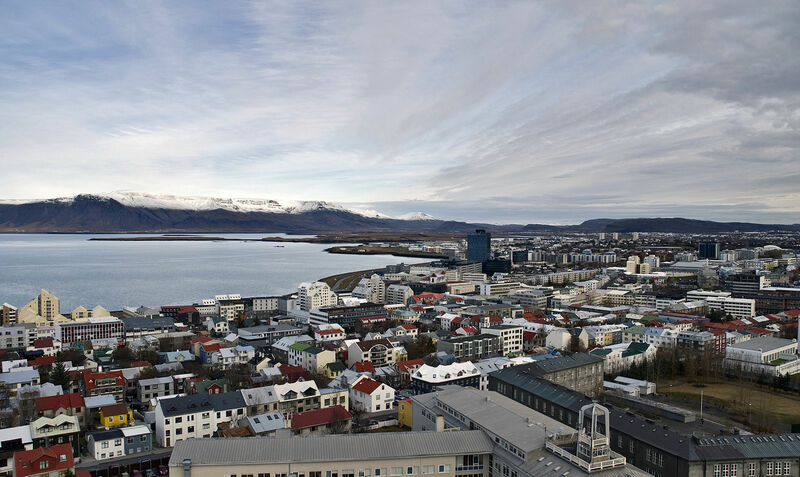 At once, Iceland has one of the highest incomes per capita; its citizens drink more Coca-Cola than any other population and read more books. What do these first place rankings tell us though? Iceland ranks highly in completely disparate rankings because a small, homogeneous population will tend to behave in the same way. The much greater socioeconomic, political, geographic, and ethnic diversity of the United States means that while some segments of the population are drinking Coke, others are drinking Pepsi and so, on a per capita level, they have offsetting impacts. What are we to do with these insights? While we may not be able to translate US politics directly into Nordic equivalents, we may conclude that underlying—and often, unaddressed—characteristics of these developed nations can and do have significant implications for progress of all sorts. Adequate governmental acknowledgment of these broader, systematic influences may require a better approach to what social theorists call “double-loop learning.” Under this system of thought, political figures must question and critique the underlying organizational system. Then, with these findings, they can modify the goal or even the system, which helps avoid repeating the same failed attempts at a solution. In this way, perhaps, these developed nations can inspire greater and more effective political action, yielding better outcomes for more citizens.